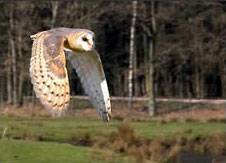 Welcome to Cheshire Falconry, a national birds of prey centre, one of the leading falconry centres in the United Kingdom. 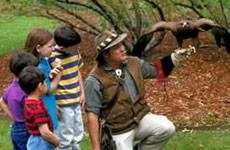 With our professional falconers you can soar with eagles, fly with falcons and hoot with owls. Come along and enjoy one of the best and biggest falconry experience days in the UK. Our Falconry Centre specialises in birds of prey and offers an aviary display every day for all our visitors of whatever age or ability. As a registered national falconry centre our professional falconers provide an exciting insight into the skills and techniques to master these raptors of the air with our "hands-on" experience days. 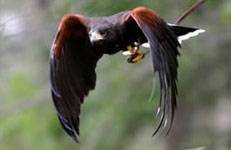 Do you want to fly birds of prey? Well, we offer one of the best introduction to raptors that you can find. A full one and half hour falconry taster session in which you will get hands-on with our birds of prey. 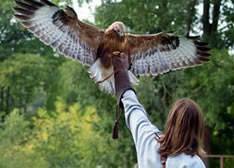 The traditional application of falconry has been to take a bird of prey, train it and then attempt to catch wild quarry with it. 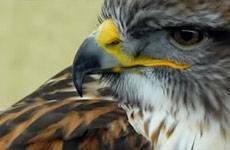 Although our Walk The Wildside experience is not a full-on hunting expedition our leisurely stroll through the Cheshire countryside surrounding us here with falconer and hawk (or hawks) it does show the ability of trained birds and their relationship with their human partners. 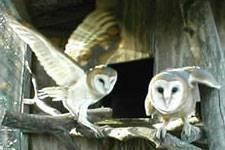 The ultimate experience for owl lovers this session is a three hour immersion into the lives of these nocturnal beauties. Owls are one of the most enigmatic groups of animals in the world and they stir great passion in those that admire them. An exclusive Family Falconry package deal. Due to popular demand we have designed an hour long session that is intended to allow families to enjoy our birds together in their own private group. Eagles have captured the imagination of the human race for thousands of years. Their place in myth, legend and folklore is well documented and in almost every part of the word where they come into contact with humans they are revered. A unique and innovative workshop incorporating falconry to enhance leadership understanding and performance. Leading North West business psychologist and university lecturer Anita Morris has teamed up with Cheshire Falconry, the region’s top falconry centre to develop a ground - breaking new concept in management training using birds of prey. 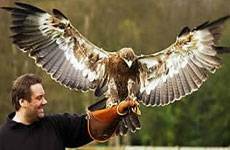 Cheshire Falconry birds of prey demonstrations have proved extremely popular over recent years. This year to date we have demonstrated our birds to over 150,000 people at various shows and public events all over the UK. We offer a variety of different display formats to suit every occasion, from one hour informative sessions for schools and up to three or four day festivals and events.